Hello, and welcome to Create Movement! My name is Claudia, and this is my boutique Bayside Pilates Studio. I have been a passionate Pilates Teacher for 11 years. Pilates is a holistic approach to fitness and leaves me feeling challenged, stronger, happier and recharged. It has improved my posture and cast a whole new light on my approach to my body and well-being. Create Movement is conveniently located in Sandringham, close to the neighboring communities of Highett, Hampton, Black Rock and Cheltenham and the beautiful bayside beaches. Plenty of street parking is available. We offer a broad variety of Pilates Mat classes, with a maximum of twelve participants per class. 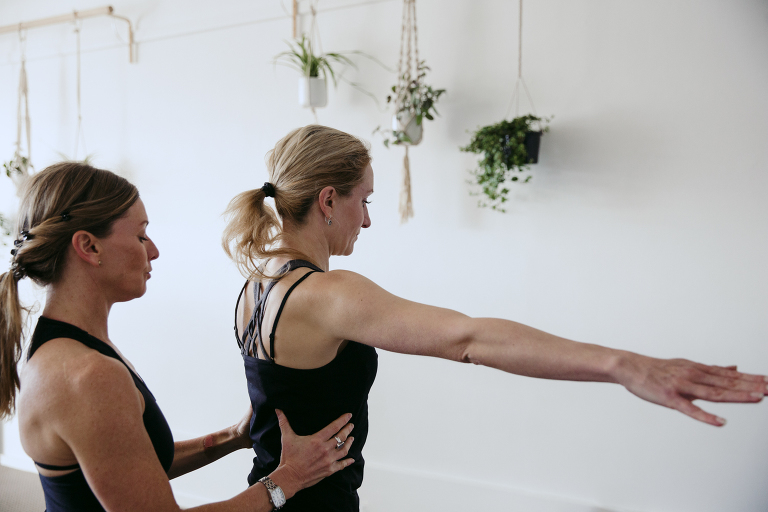 With increased demand for my one-on-one sessions and group training, it became obvious that the time had come to create a studio that specialises in Pilates practices. One of the most important things I have learned in my time as a Pilates Practitioner is that everyone’s body is unique – we all respond differently to varying levels of intensity and types of movement. Create Movement therefore has crafted extensive programs around this concept and we offer comprehensive Pilates programs. 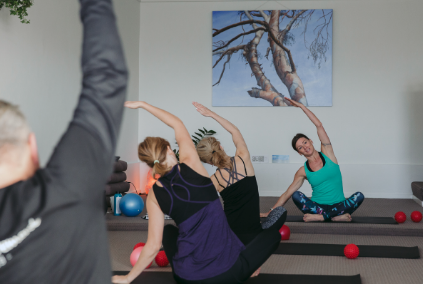 From Mat Pilates, Remedial Pilates, Pre and Post-natal Pilates, one-on-one private classes, Mobile Pilates, Functional Training, Yoga, Workshops and Events; we offer something for everyone, crafted specially to your body and your needs. Most recently Claudia has completed her Diploma in Slings Myofascial Training in Ubud, Bali. This unique fascia focused training aims to strengthen the body’s postural balance, improve movement efficiency, enhance resilience and activate the body’s self-healing abilities. She is one of only a few qualified Slings Myofascial Training Practitioners in Australia. 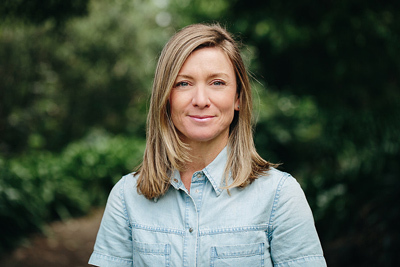 With her broad international experience, Claudia seeks to help clients gain greater flexibility, strength and freedom, thereby enhancing the connection between body and mind, the basis of lasting good health. Pilates provides a calm and peaceful way to workout, with a focus on breathing, being present, and learning to pay attention to your body and mind. The group mat classes cater for all levels and 12 people max in a class, ensuring each participant receives a more personalized instruction. The philosophy at Create Movement is to provide movement classes where you feel in charge of your body and health and are supported to take your fitness to a whole new level and keep you there. For more information about Pilates classes, click on contact, email me at info [at] createmovement.com or call on 0407 582 833. After my first one-on-one session and only one group class, I already feel increased range of motion and ease in my legs and hips, and finally feel I'm waking up my habitually switched-off deep core strength, which no amount of "core-focused" training had been able to help. I was aware of the integral role fascia plays in movement quality, but had no practical guidance in myofascial training techniques until now -- this is why you need someone who can see what you are doing, and what you're NOT doing, and coach you correctly! Create Movement is a beautiful space, calming, clean, an ambience with natural light beaming in through the ceiling windows. My introduction to and practice of the Slings Myofascial training concept is a life changing experience. I found the Pilates and Slings training is highly effectively, purposeful and gave me some relaxation. Here’s wishing Claudia all the best for her future. I highly recommend trying one of her Slings & Pilates classes. After two pregnancies and caesarean sections, my body felt broken. Working with Claudia has been truly amazing: my back and hip pain have gone and I feel stronger than before the pregnancy. Claudia is knowledgeable –you know you’re in safe hands- and is professional, patient and super lovely. Totally recommend Create Movement for pre and post natal Pilates.